Analysis: Crowder quickly ditched a wrist injury that capped his practice reps Wednesday. With the issue behind him, he can take aim at an Eagles defense that has given up 8.4 YPT and 17 touchdowns to wide receivers this season. 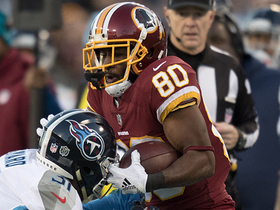 Analysis: Crowder spent the meat of the 2018 campaign in recovery mode as a result of an ankle issue, but the fourth-year wide receiver has connected with whoever has been under center for the Redskins the past four games, hauling in 15 of his 22 targets for 247 yards and one touchdown. Assuming he's active Sunday against the Eagles, he should serve as Josh Johnson's No. 1 option with Jordan Reed (foot) a long shot to play and Maurice Harris and Vernon Davis both embedded in the concussion protocol. 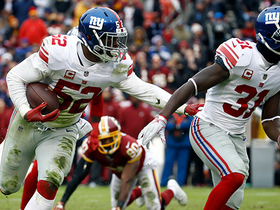 Analysis: Crowder continues to be Josh Johnson's favorite target, resulting in two fantasy-relevant stat lines in the three games with the Redskins' recent quarterback. The 25-year-old has proven to be a reliable PPR option over the previous three seasons, but Johnson's inaccurate arm makes Crowder a risky play against the Eagles, even with the recent uptick in production and soft matchup. Crowder caught four of six targets for 46 yards in Sunday's 16-13 win over Jacksonville. 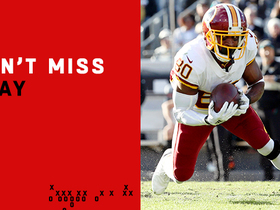 Analysis: Crowder was easily Washington's top receiver, as none of his teammates eclipsed 20 receiving yards. His 33-yard reception on third-and-15 helped set up Jeremy Sprinkle's game-tying touchdown reception. The entire Redskins passing game will likely remain limited against the Titans in Week 16 with Josh Johnson under center, but Crowder is the best fantasy pick of the bunch. Crowder (ankle) was a full participant in Thursday's practice, Daniel Popper of The Athletic reports. Crowder (ankle) was a limited practice participant Wednesday, Daniel Popper of The Athletic reports. Analysis: Crowder may have suffered a minor aggravation to his ankle during Sunday's 40-16 loss to the Giants. He caught two of seven targets for 87 yards and a touchdown in his second game back from a lengthy absence due to the same injury, turning a short pass into a 79-yard score in garbage time. Assuming he continues to practice in some capacity, Crowder should be fine for a difficult matchup at Jacksonville in Week 15, working with Josh Johnson as the starting quarterback. Crowder caught two of seven targets for 87 yards and a touchdown in Sunday's 40-16 loss to the Giants. Analysis: Crowder was on his way to a dud until he took a Josh Johnson pass all the way for a 79-yard touchdown thanks in large part to some sloppy Giants defense. Johnson looked good after entering the game with Washington trailing 40-0, and he's already been named the starter for Week 15 in Jacksonville, which is probably good news for Crowder given how poorly Mark Sanchez played in helping to dig Washington's 40-0 hole. Crowder (ankle) played 29 of the Redskins' 45 offensive snaps (64 percent) in Monday's 28-13 loss to the Eagles, hauling in all four of his targets for 36 yards. He also lost five yards on his lone carry. Crowder (ankle) is active for Monday's game in Philadelphia. Analysis: After practicing in pads and running routes throughout the week, Crowder showed he was trending toward his first game action since Week 5. He could take over the slot receiver role entirely with Trey Quinn tending to an ankle injury, which required the use of a walking boot Sunday. Despite the lack of clarity surrounding his workload, Crowder will look to exploit an Eagles defense that has given up 200.7 receiving yards per game and 13 total touchdowns to wideouts in 11 outings this season. Crowder (ankle) is expected to return Monday at Philadelphia,. Mike Garafolo of NFL Network reports. Analysis: There were positive signs all week that a return was possible for Crowder, including working in pads and running routes at practice. He maintained limited sessions Thursday through Saturday and eventually was deemed questionable for Monday's divisional showdown. Assuming he's active, Crowder should see plenty of reps in the slot, though he may share some of the workload with rookie Trey Quinn. Crowder (ankle) is questionable on the Redskins' preliminary injury report for Monday's game against the Eagles. Analysis: The Redskins are holding practice Saturday night, so it remains to be seen whether Crowder progresses beyond his limited participation the rest of the week. The 25-year-old struggled with only 13 receptions for 134 yards and a touchdown in four games prior to suffering the ankle injury in early October. Crowder's chances for returning from a seven-game absence continue to be up in the air. Crowder (ankle) remained a limited participant at practice Friday. Analysis: Crowder is hopeful he can return from a seven-game absence Monday against the Eagles, but he acknowledged Thursday that it's no sure thing. A full practice session Saturday would provide real reason for confidence, though there isn't much upside in saving a spot in fantasy lineups for Crowder even if he's cleared to play. He posted 13 receptions for 134 and a touchdown across four games prior to suffering the ankle injury Oct. 8. Crowder (ankle) was a limited practice participant Thursday. Crowder (ankle) ran routes at Thursday's practice, JP Finlay of NBC Sports Washington reports. Crowder (ankle) went through individual drills in pads Wednesday, John Keim of ESPN.com reports. Crowder (ankle) was limited to working out on the side with the training staff during Monday's practice, Kareem Copeland of The Washington Post reports. Crowder (ankle) is inactive for Thursday's game in Dallas. Analysis: Missing his sixth consecutive contest due to an ankle injury, Crowder will have ample time to ramp up his conditioning for the Redskins' next game Monday, Dec. 3 versus the Eagles. His absence will allow rookie wide receiver Trey Quinn to operate in the slot yet again. Crowder (ankle) is listed as questionable for Thursday's game in Dallas, Jake Kring-Schreifels of the Redskins' official site reports. Analysis: Given that he was listed as a non-participant on the practice report every day this week, Crowder isn't a good bet to end his streak of six consecutive absences. However, the decision to list him as questionable may at least be a sign of progress, considering he was ruled out last Friday ahead of Sunday's loss to Houston. The Redskins likely will use Trey Quinn in the slot for the Thanksgiving Day game. Crowder (ankle) didn't participate in Tuesday's practice, David Helman of the Cowboys' official site reports. Crowder (ankle) was listed as a non-participant on Monday's estimated injury report. Analysis: Crowder hasn't taken the practice field since an MRI last week revealed lingering "issues" in his ankle. With the Redskins exercising caution with his recovery to this point, he seems poised to miss a seventh game in a row Thursday at Dallas. The current healthy members of the wide receiver corps are Josh Doctson, Maurice Harris, Trey Quinn and Michael Floyd. Crowder (ankle) has been ruled out for Sunday's game against the Texans. Analysis: This was expected after an MRI earlier in the week revealed lingering issues with the slot receiver's ankle. Crowder will sit out for a sixth straight game, but the Redskins still seem to be optimistic about his injury eventually healing with rest. Jordan Reed, Josh Doctson and Maurice Harris are the best bets to draw targets from Alex Smith on Sunday. Crowder (ankle) isn't taking part in practice Friday, Kareem Copeland of The Washington Post reports. Analysis: All signs point toward a sixth consecutive absence after an MRI earlier this week revealed lingering issues with Crowder's ankle. It's fair to begin wondering if Crowder might need surgery to correct the problem. With Crowder likely out of the mix Sunday against the Texans, Josh Doctson and Maurice Harris appear set to head the Washington wideout group. Crowder (ankle) was held out of practice Thursday, Kareem Copeland of The Washington Post reports. Coach Jay Gruden said the recent MRI of Crowder's ankle revealed "some issues in there," Kareem Copeland of The Washington Post reports. Analysis: Crowder has missed five consecutive games due to an ankle injury and has yet to return to full health. In addition to his comment regarding the MRI, Gruden told Les Carpenter of The Washington Post that he Crowder "needs a little more time." Crowder isn't expected to practice until Thursday -- at the earliest -- this week, but Gruden's thoughts don't exactly inspire confidence that the wide receiver will be able to play Sunday against the Texans. Crowder (ankle) is scheduled for an MRI this week and isn't expected to practice any sooner than Thursday, JP Finlay of NBC Sports Washington reports. Crowder (ankle) has been downgraded to out for Sunday's game against the Buccaneers. Analysis: Crowder managed to practice in limited fashion Thursday and Friday, the first time he's been able to do so since Week 5. Evidently, the activity wasn't enough for the Redskins to sign off on the wideout returning to action this weekend. With Crowder sidelined for another contest, look for Maurice Harris to act as Washington's primary slot man after recording 10 catches for 124 yards in the Week 9 loss to the Falcons. Michael Floyd could also see a slight uptick in snaps in three-wideout sets. 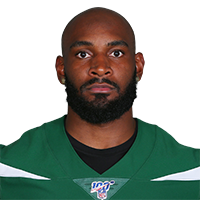 Crowder (ankle) is listed as questionable for Sunday's game at Tampa Bay, JP Finlay of NBC Sports Washington reports. Crowder (ankle) is practicing again Friday, John Keim of ESPN.com reports. Analysis: Crowder returned to practice Thursday as a limited participant, potentially giving him a chance to play in Sunday's game at Tampa Bay. Another update will be available when the Redskins release their final injury report. Crowder (ankle) was limited at practice Thursday, Kareem Copeland of The Washington Post reports. Crowder (ankle) was present at Thursday's practice, John Keim of ESPN.com reports. Analysis: After taking part in the team stretch, Crowder was seen jogging and even caught a pass, according to Keim. Both activities were Crowder's first since injuring his ankle Week 5, a span in which he's missed four consecutive games. It remains to be seen if the activity is enough to warrant a limited designation on Thursday's injury report, but he appears to be making measurable progress this week. Crowder (ankle) was listed as a non-participant at Wednesday's practice, Kareem Copeland of The Washington Post reports. Crowder (ankle) worked out on a side field at Wednesday's practice, John Keim of ESPN.com reports. Coach Jay Gruden ruled out Crowder (ankle) for Sunday's contest versus the Falcons, JP Finlay of NBC Sports Washington reports. Crowder (ankle) was listed as a non-participant at Wednesday's practice. Analysis: Crowder was spotted working out with trainers on a side field during the open portion of the session, but he apparently didn't progress to any form of practice with his teammates. He's trending toward a fourth consecutive absence as the Redskins begin preparation for Sunday's home game against Atlanta. Crowder (ankle) worked out on a side field at Wednesday's practice, JP Finlay of NBC Sports Washington reports. Analysis: The Redskins' skill-position players have been hammered by injuries for weeks, with Crowder, Chris Thompson and Paul Richardson all sitting out at least one game in October. Crowder himself has missed three consecutive contests and may be in line for another absence due to his lack of activity Wednesday. The team's first Week 9 injury report will confirm whether he was able to take part in practice. Crowder (ankle) has been ruled out for Sunday's game against the Giants. Analysis: As expected, Crowder didn't practice at all this week and has now been ruled out for a third straight game. It does seem the Redskins stand a decent chance to get Paul Richardson (shoulder/knee) and Chris Thompson (rib/knee) back in the lineup, potentially giving Alex Smith the closest thing he's had to a healthy supporting cast since Week 5. Maurice Harris should replace Crowder in three-wide formations. Crowder (ankle) didn't take part in Thursday's practice, John Keim of ESPN.com reports. Analysis: With a pair of absences from practice to begin Week 8, Crowder looks likely to end up on the inactive list for a third straight game Sunday against the Giants. 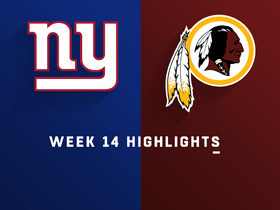 Meanwhile, fellow starter Paul Richardson (shoulder/knee) remains "hopeful" to play this weekend, per JP Finlay of NBC Sports Washington, which would be a boon for a Washington passing attack that sputtered in the Week 7 win over Dallas while its top two wideouts were sidelined. Crowder (ankle) was held out of practice Wednesday. Crowder (ankle) has been ruled out for Sunday's game against Dallas. Crowder (ankle) is expected to miss the next few games, Ian Rapoport of NFL Network reports. Crowder (ankle) was seen moving about the Redskins' locker room Thursday with a scooter and a walking boot on his foot, Kareem Copeland of The Washington Post reports. Analysis: After failing to practice for a second day in a row Thursday, as expected, Crowder doesn't seem like a great bet to suit up Sunday versus the Cowboys. Another absence Friday likely would confirm that notion, but at least he has one more chance to prove the health of his ankle. In the end, though, coach Jay Gruden has called Crowder "iffy" all week, according to Kareem Copeland of The Washington Post. Crowder (ankle) won't participate in Thursday's practice, John Keim of ESPN.com reports. Coach Jay Gruden called Crowder (ankle) "iffy" for Sunday's game against the Cowboys, Kareem Copeland of The Washington Post reports. Analysis: Crowder didn't take part in practice Wednesday, which Gruden indicated would be the case back on Monday. During his post-practice media session, Gruden told Tarik El-Bashir of The Athletic that Crowder wouldn't return to the field until Friday, at the earliest. Before he attempts to prove the health of his ankle, Crowder will remain embedded with the Redskins' rehab group. Coach Jay Gruden said Monday that Crowder (ankle) won't take the practice field until Friday at the earliest, Tarik El-Bashir of The Athletic reports. Analysis: Crowder didn't progress beyond rehab of his ankle last week and appears as if he'll have the same regimen until the end of the current one. Gruden's comment indicates Crowder may have to get through Friday's session without issue before he's considered a candidate to play Sunday against the Cowboys. Crowder (ankle) is listed as inactive Sunday versus the Panthers. Analysis: Crowder's ankle clearly didn't pass the sniff test of the Redskins' training staff in pregame warmups. 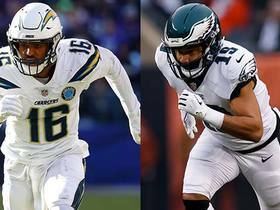 With both Crowder and running back Chris Thompson (rib/knee) unavailable to Alex Smith, there should be plenty of targets up for grabs for the likes of Paul Richardson, Josh Doctson and Jordan Reed in Week 6. Crowder (ankle), who is listed as questionable for Sunday's game against the Panthers, isn't expected to play, Adam Schefter of ESPN reports. Analysis: Both Crowder and pass-catching back Chris Thompson (rib/knee) are expected to be sidelined Sunday, depriving the Redskins of two of their top targets in the passing game. In addition, Josh Doctson (heel) and Paul Richardson (shoulder/knee) are expected to be game-time decisions, so Washington could have some new contributors at receiver this week. Maurice Harris would be first in line to enter the starting lineup if Crowder is in fact ruled out. Crowder (ankle) will be a game-time decision Sunday against the Panthers, Kareem Copeland of The Washington Post reports. Crowder (ankle) is working off to the side with the training staff during Friday's practice, John Keim of ESPN.com reports. Crowder (ankle) wasn't participating in the portion of Thursday's practice that was available to the media, Kareem Copeland of The Washington Post reports. Crowder (ankle) was listed as a non-participant on Wednesday's estimated injury report, John Keim of ESPN.com reports. Analysis: The Redskins merely held a walk-through session, but coach Jay Gruden said Crowder and fellow wide receiver Paul Richardson (knee) wouldn't have participated if Wednesday's session included individual and team drills. Consequently, the health of the pair will be watched closely as the weekend draws closer. Crowder caught four of eight passes for 55 yards in Monday night's 43-19 loss to the Saints. Analysis: Crowder led the Redskins in receiving yards and no player was targeted more by quarterback Alex Smith. While that comes as good news, and Monday also marked the first time Crowder has topped 40 yards this season, his modest totals thus far have evidenced a Washington offense lacking perimeter playmakers. Crowder caught two of four targets for eight yards and took two carries for 29 yards in Sunday's 21-9 loss to Indianapolis. Analysis: The only positive was an uptick in play volume, with Crowder's snap share jumping from 62 percent Week 1 all the way to 93 percent Week 2. He nonetheless finished fifth on the team in targets and sixth in receptions, with RB Chris Thompson and TE Jordan Reed doing the heavy lifting -- 19 combined receptions -- for a second time in as many weeks. It'll be hard to trust any Washington wide receiver in a Week 3 home game against the Packers. Crowder caught three of four targets for 32 yards in Sunday's 24-6 win over the Cardinals. Crowder (groin) wasn't listed on the Redskins' Week 1 injury report Wednesday. Analysis: Crowder didn't play during the preseason due to a groin injury, but a focus on recovery has helped him get back to full health in time for the regular-season opener Sunday in Arizona. With Alex Smith stepping in for Kirk Cousins under center, it remains to be seen where Crowder will stand in the pecking order for targets, but the durability he's demonstrated over his first three seasons in the NFL should keep him in the mix along with Jordan Reed, Paul Richardson and Chris Thompson. Crowder (groin) Darren Urban of the Cardinals' official site on the Redskins' Week 1 injury report Wednesday. Analysis: Crowder didn't play during the preseason due to a groin injury, but a focus on recovery has helped him get back to full health in time for the regular-season opener. With Alex Smith stepping in for Kirk Cousins, it remains to be seen where Crowder will stand in the pecking order for targets, but his ability to stay on the field (one DNP in three seasons) should keep him in the mix along with Jordan Reed, Paul Richardson and Chris Thompson. Crowder (groin) isn't playing in Friday's preseason game against Denver. Analysis: Despite returning to practice this past weekend, Crowder was held out for the third time in as many preseason games. He does still seem to be on track for Week 1 in Arizona, considering he was healthy enough to take part in pregame warmups Friday night, per ESPN.com's John Keim. Crowder (groin) returned to practice over the weekend, Rich Tandler of NBC Sports Washington reports. Analysis: Crowder missed the first two weeks of the preseason, but he seems to be on track to play in Friday's exhibition against the Broncos. 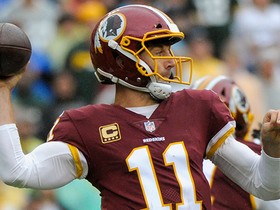 It would be his first chance to work with new quarterback Alex Smith in a game after Crowder caught passes from Kirk Cousins each of the past three years. There hasn't been anything to suggest that Crowder's groin injury is anything that will impact his snap counts once the regular season begins. Crowder (groin) didn't play in Thursday's preseason game against the Jets. Analysis: Crowder was also held out for the first week of the preseason, but there's been nothing to suggest he's dealing with a long-term injury. Given that he has the least to prove among Washington's pass catchers, some missed time during training camp and the preseason isn't a huge concern. He's locked in as the slot man in three-receiver formations, with the potential to get playing time outside in two-wide sets. Crowder will be held out of Thursday's preseason game in New England due to a groin injury, Kimberley A. Martin of The Washington Post reports. Crowder won't play in Thursday's preseason opener against New England, John Keim of ESPN.com reports. Crowder and Alex Smith have shown a strong connection through five days of training camp, Jake Kring-Schreifels of Redskins.com reports. Crowder has already made a strong impression on new quarterback Alex Smith, ESPN.com's John Keim reports. "[Crowder]'s so easy to read," Smith said. "Such great body control, body language. He sees defenses well and it's hardest to do that in between the hashes. You get so many looks and leverages and you have to handle all those things. He's decisive and he's so friendly. He's always coming back to the ball, always working for you." Crowder has been working on his explosiveness with the Duke University strength and conditioning staff, preparing to join the Redskins for offseason workouts in mid-April, Steve Wiseman of The News & Observer reports. "Personally, I still think there's a lot that I can accomplish here," said Crowder. "That's why I've been here working, grinding with coach [Noel] Durfey and the sprint staff. I've been working running routes, getting back into the groove of things before we start OTAs." Crowder, who hauled in three of his seven targets for 25 yards in Week 17's loss to the Giants, ended the season with 66 receptions for 789 yards and three touchdowns in 15 games. Crowder (hamstring) corralled all four of his targets for 47 yards and a touchdown in Sunday's 27-11 win over the Broncos. Crowder (hamstring) is listed as active Sunday against the Broncos. Analysis: Crowder has tended to hamstring concerns since he reported to training camp, but it won't stop him from taking the field for the 14th time in 15 chances this season. Unfortunately for Crowder, he likely will be lined up with slot corner Chris Harris for most of the contest, which could cause his catch rate in a given game to fall below 50 percent for the first time since Week 10. Crowder (hamstring) is expected to play Sunday against the Broncos, per a source, Adam Schefter of ESPN.com reports. Analysis: You'll want to await official word from the team regarding Crowder's status leading up to Sunday's 1:00 ET kickoff. Crowder (hamstring) is listed as questionable for Sunday's game against the Broncos, John Keim of ESPN.com reports. Crowder (hamstring) was limited on Wednesday's injury report. Analysis: Crowder has endured a number of bouts with his hamstring in the last half of 2017, namely during training camp, early in the preseason, in late September into early October and the first half of November. Despite the bumpy road, he's missed just one game this season, leading the team in every receiving category but touchdowns. Gaining clearance to play this weekend wouldn't be a boon, though, with the Broncos' second-ranked pass defense on tap Week 16. Crowder caught five of seven targets for 55 yards and a touchdown in Sunday's 20-15 win over Arizona. Analysis: Crowder got the scoring started with a five-yard touchdown just 1:30 into the first quarter and finished as his team's leading receiver. The third-year slot man out of Duke has been phenomenal over the past seven weeks after a slow start to the season, averaging 81.1 receiving yards per game. Both of his trips to the end zone have come in the past four weeks. Crowder brought in three of six targets for 34 yards in Sunday's 30-13 loss to the Chargers. He also returned three punts for 15 yards. Analysis: Crowder mirrored fellow wideout Josh Doctson's stat line in a lackluster afternoon for the Redskins' offense. The 24-year-old had been riding a highly productive five-game stretch coming into Sunday in which he posted 32 receptions for 479 yards and a touchdown. Therefore, while the sudden downturn was particularly ill-timed -- considering it comes in the heart of the fantasy postseason -- Crowder has shown a much higher ceiling and will look to bounce back against the Cardinals in Week 15. Crowder hauled in five of seven targets for 67 yards, returned one punt for four yards and lost a fumble in Thursday's 38-14 loss to the Cowboys. Analysis: Crowder was the only player on both teams to reach the 100-yard marker in either rushing or receiving, as offense was at a premium for much of the evening. His trip to the end zone was somewhat surprisingly his first of the season. The 24-year-old pass-catcher briefly exited the game during the fourth quarter due to a knee injury, but quickly returned to record a crucial third-down conversion. He will look to carry his momentum into next Thursday's contest versus the Cowboys. Crowder hauled in seven of his eight targets for 72 yards in Sunday's 34-31 overtime loss to the Saints. Crowder (personal) returned to practice Thursday, John Keim of ESPN.com reports. Analysis: As expected, Crowder is back after dealing with a personal matter Wednesday. He's come to life in his last two appearances, combining for 13 catches for 199 yards on 24 targets. If Jordan Reed (hamstring) is held out for a third consecutive game, Crowder could see similar volume Sunday versus a Saints defense that has given up 13.5 YPC and no touchdowns to wide receivers over the last four contests. Crowder missed Wednesday's practice due to personal reasons, but the Redskins expect the wide receiver to return Thursday, Brian McNally of the Richmond Times-Dispatch reports. Analysis: While suiting up for two of the Redskins' last three games, Crowder has held a significant role in the offense, earning a whopping 24 targets, which have yielded 13 receptions for 199 yards. Crowder hasn't reached the end zone this season, but assuming his personal matter doesn't impact his availability Sunday, he'll attempt to strike against a Saints defense that hasn't yielded a touchdown to a wideout since Week 6. Crowder snagged four of 11 targets for 76 yards and added a five-yard run during Sunday's 38-30 loss to Minnesota. Crowder (hamstring) is active for Sunday's game against the Vikings, John Keim of ESPN.com reports. Analysis: Crowder took a seat Week 9 due to a lack of confidence in his hamstring, but the tide turned in his favor in advance of this contest when he practiced Wednesday through Friday, albeit in a limited capacity. With Jordan Reed (hamstring) sidelined again, the Redskins passing attack will be headed by Crowder, Josh Doctson, Vernon Davis, Chris Thompson and Terrelle Pryor. Crowder (hamstring) is expected to play against the Vikings on Sunday, per a source, Adam Schefter of ESN reports. Analysis: Crowder was a limited participant in all three practices this week, which was a step forward from Week 9 when he missed all of his practice sessions and eventually made inactive in a win over Seattle. 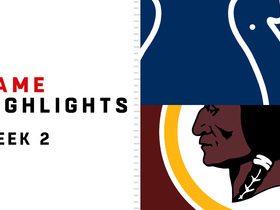 The game against the Vikings is part of the early slate of games, kicking off at 1:00 PM EDT. Crowder (hamstring) remained limited at Friday's practice and is listed as questionable for Sunday's game against the Vikings. Crowder (hamstring) turned in a limited practice Thursday. Crowder (hamstring) said he's feeling better this week after he returned to a limited practice Wednesday, ESPN.com's John Keim reports. Analysis: Crowder was listed as a non-participant for every practice last week, but he did get in some agility work with athletic trainers, which inspired the Redskins to wait until Saturday to rule him out for Sunday's eventual 16-14 win over Seattle. The wide receiver seems to be a tick ahead of tight end Jordan Reed, who also missed practice last week and returned in a limited capacity Wednesday. Both players figure to be listed as questionable, at best, for Sunday's game against the Vikings. Crowder (hamstring) was limited at Wednesday's practice, Rich Tandler of NBC Sports Washington reports. Analysis: Crowder missed all of the Redskins' practices last week and was ruled out Saturday for Sunday's win over the Seahawks. Head coach Jay Gruden said Monday that he considers the wideout day-to-day, and Crowder's return to practice Wednesday supports the notion that he has a shot to play Sunday against the Vikings. Crowder logged his two highest snap shares of the season -- 91 and 95 percent -- in Weeks 7 and 8, respectively. Redskins head coach Jay Gruden said Crowder (hamstring) is considered "day-to-day" heading into the Week 10 matchup with the Vikings, John Keim of ESPN.com reports. Crowder (hamstring) was downgraded to out for Sunday's game against Seattle. Analysis: With Crowder out, Ryan Grant appears the best candidate to take the slot snaps when Washington is in three-receiver sets. It also just might open up the possibility of Terrelle Pryor and Josh Doctson playing at the same time in three-receiver formations. None of the Washington wideouts is likely to find much success against Seattle's corners, but Grant may have the easiest looks when he stays away from Richard Sherman and Shaq Griffin. Crowder (hamstring) admitted Friday that his injury has a major impact on his explosiveness, John Keim of ESPN.com reports. "It's kind of tricky," said Crowder. "It feels good at times and then I go out and work and it doesn't feel like bad, but it doesn't feel I can be as explosive to [where] I feel I can go out and compete at a high level." Crowder (hamstring) is listed as questionable for Sunday's game against the Seahawks, with the Redskins expecting to make a final decision on his status before their flight to Seattle, John Keim of ESPN.com reports. Crowder (hamstring) didn't participate in the portion of Friday's practice available to the media, John Keim of ESPN.com reports. Analysis: Crowder was spotted going through his own workout on a side field, but unless he gets in some reps with the rest of the team during the closed portion of Friday's session, it's looking increasingly likely that he'll miss Sunday's game against the Seahawks. Redskins head coach Jay Gruden should offer an official word later Friday regarding the status of Crowder, who broke out for a season-high nine receptions and 123 yards in the Week 8 loss to the Cowboys. Crowder (hamstring) didn't participate in Thursday's practice. Analysis: With Crowder missing back-to-back practices to begin the week, Redskins head coach Jay Gruden indicated he was "concerned" about the wideout's status for Sunday's game against the Seahawks, according to JP Finlay of NBC Sports Washington reports. Crowder's potential absence would be especially frustrating for fantasy owners after the receiver emerged from his season-long slumber to reel in nine passes for 123 yards -- both season highs -- in the team's Week 8 loss to the Cowboys. Crowder was held out of Wednesday's practice with a hamstring injury, the Redskins' official website reports. Crowder wasn't in uniform at the start of Wednesday's practice, JP Finlay of NBC Sports Washington reports. Analysis: Crowder matched career highs with nine receptions on 13 targets Sunday against the Cowboys, and with the help of 41- and 26-yard connections with Kirk Cousins, the wideout reached a career-best 123 receiving yards. In two-plus seasons, Crowder hasn't missed a game, so the lack of activity Wednesday could be maintenance-related. Expect his status to be clarified when the Redskins release their first Week 9 injury report later Wednesday. 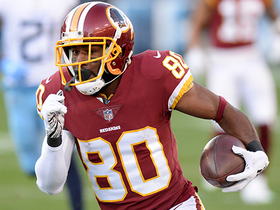 Washington Redskins wide receiver Jamison Crowder turns on the jets for a 79-yard catch-and-run touchdown. 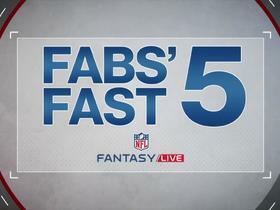 NFL Media's Senior Fantasy Analyst Michael Fabiano gives his top five under-the-radar slot fantasy receivers for Week 5 of the 2018 NFL season. 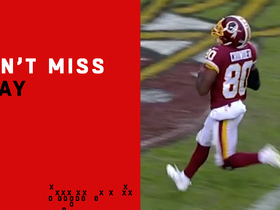 Washington Redskins quarterback Alex Smith finds wide receiver Jamison Crowder for a 9-yard touchdown.